This is the ideal gift for busy people, singles and parents that need fast & simple kitchen ideas. 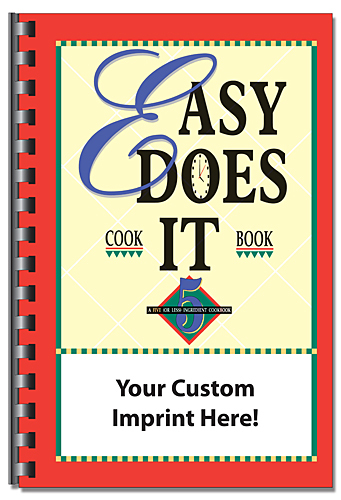 These cookbooks fit well in school & church fundraiser programs, and promotions for banks, realty, insurance, newspapers etc. Works well in any food or grocery promotion! Delicious easy recipes with five ingredients or less--great for beginner cooks or busy parents.